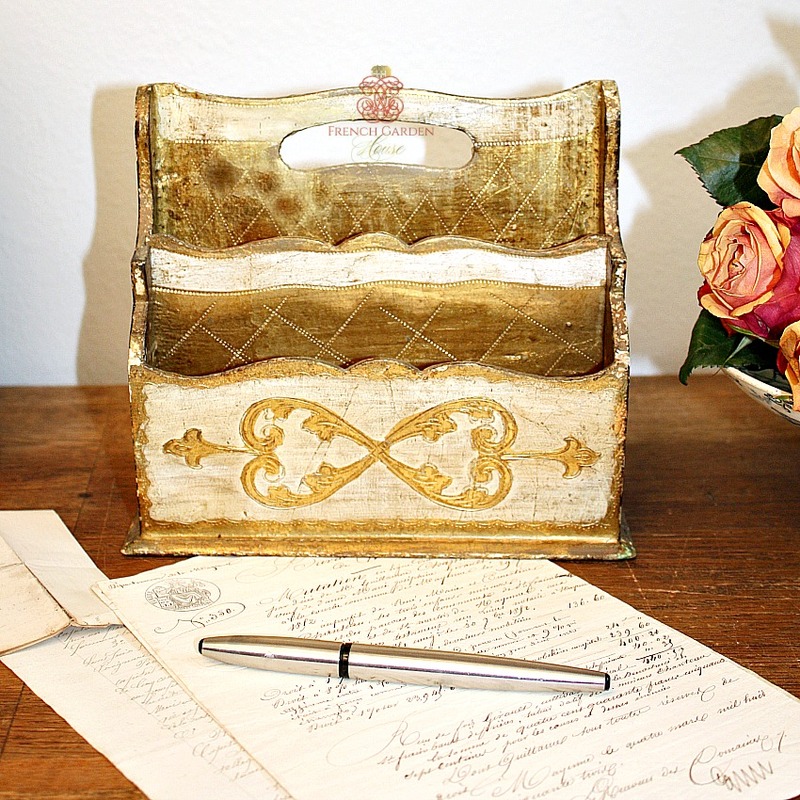 Exquisite Florentine letter holder for your desk, with a handle for when you want to carry it with you to work on your correspondence on your back deck or front porch. Made by the master craftsmen in Firenze, or Florence, Italy long ago, this is an older piece. 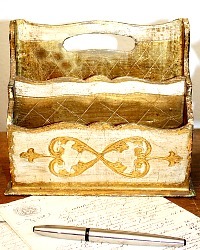 The decorative organizer has gold gilt over gesso, and hand painted Italian scroll heart designer detail. 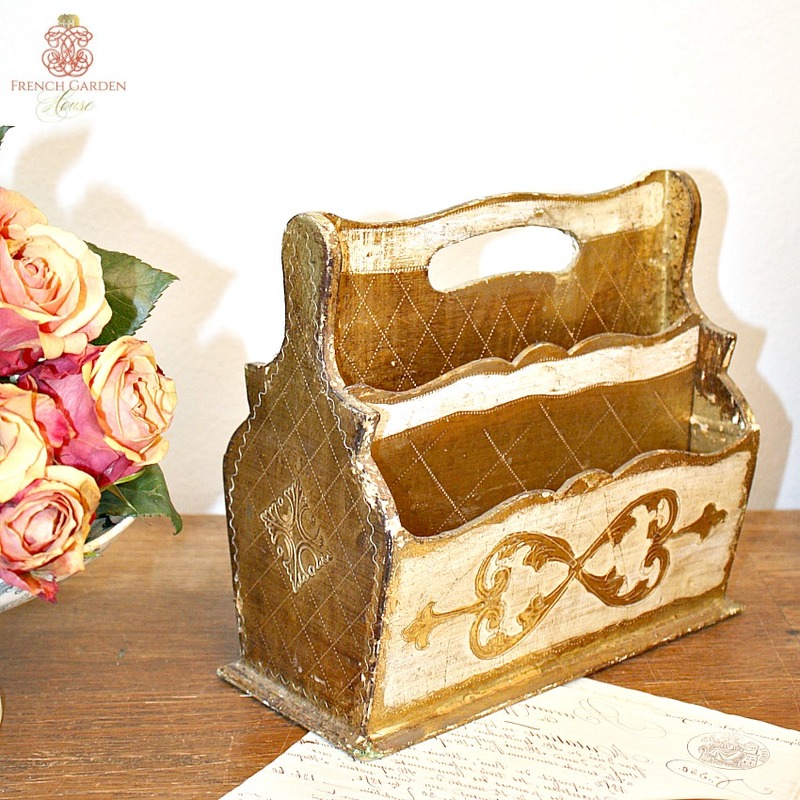 Bought on a recent buying trip, a collectable addition to your Florentine wood collection, will look stunning on your antique French desk. 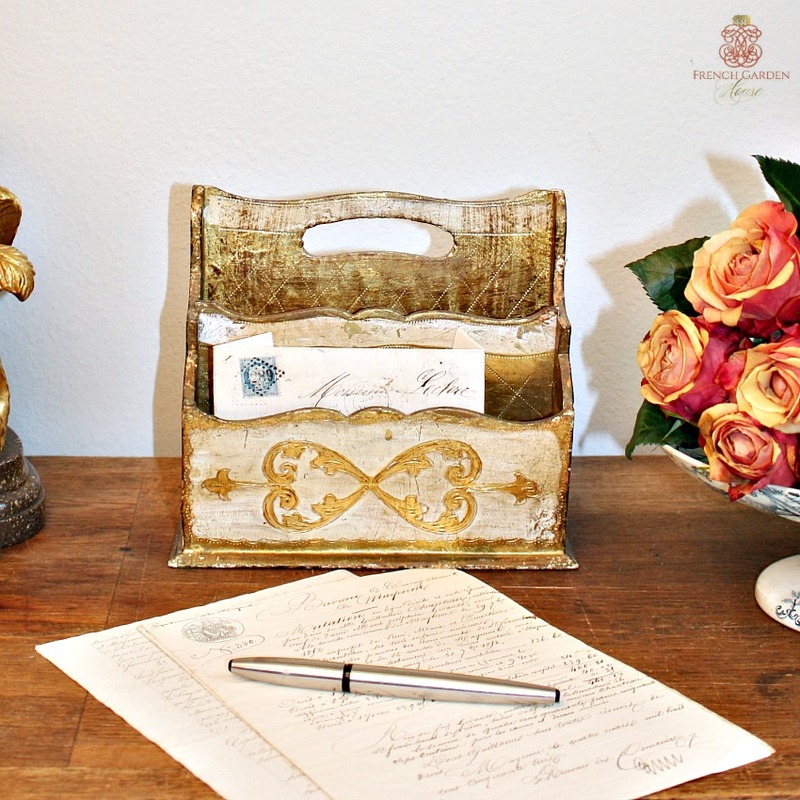 Makes a great way to display holiday cards too! Lovely wear and patina as shown, please only purchase this if you love to see the grace of time! Measures 8-1/2" x 4-1/2" x 7-3/4".